MPCX is a digital blockchain driven financial services platform. MPCX's aim is to aggregate all crypto financial services in one place. MPCX is designed to service entities and individuals needs in the areas of digital wealth management, cryptocurrency exchange and trading, digital banking, crypto research and ICO promotion, and crypto lending. The XDMC Token will be the functional tool on the MPCX Platform. XDMC Tokens will be used to pay for the services inside the platform. Once the XDMC Token becomes liquid and popular, it will be used as the internal currency for our banking services. 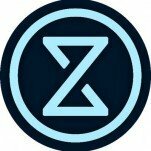 The XDMC token can be purchased during the ICO or on the exchanges after the first ICO. During Pre ICO round XDMC tokens will be available on Waves Platform. All Waves based tokens will be replaced with 1:1 Ratio before 1st ICO round into Ethereum based XDMC Token. Start of ICO preparation process. MVP release before the end of Q3.